Gun Game has been a staple mode for Call of Duty since the first Black Ops, which makes its absence from Black Ops 4 especially disappointing. Worry not, because the mode is back – but it’s not back forever. 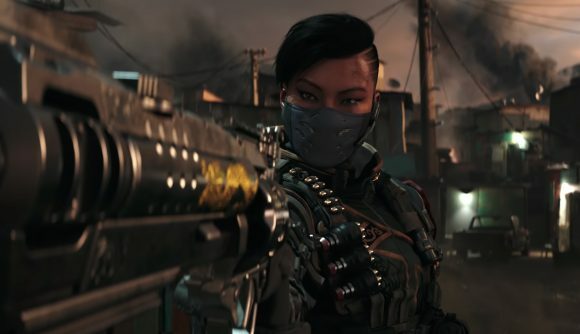 A limited time engagement sees Gun Game join the Black Ops 4 rotation today on consoles, though you’ll have to wait another day to get that patch on PC. The new patch will be available through Battle.net on October 31 – tomorrow, as of this post. That puts the start of Gun Game’s limited run 24 hours later on PC, but you’re not getting any extra time to play it. Across all three platforms, the mode will end at 9:00 PST / 12:00 EST / 17:00 GMT on November 6. Treyarch hasn’t yet explained the delay on PC, though the company says on Twitter “we have additional details for PC players.” Yesterday, the PC-focused account said that a patch coming this week would address issues with the game at boot, and this update may have been delayed to account for those additional changes. Either way, you can expect a roughly 10GB patch, in line with today’s console updates. Gun Game, as always, puts players in a free-for-all situation where each kill gets you a new weapon. The first player to get a kill with every weapon wins the match. So you’ll probably want to know the Black Ops 4 weapons as well as you can – the guide at the link there will help you do exactly that, breaking down the strengths and weaknesses of each option.